These artists have turned their love lives into the cutest comics. And we are obsessed. They make you melt in a puddle. They make you laugh. They make you cry. They make you scream in frustration. And they make for absolutely captivating moments that are goldmine for illustrators. 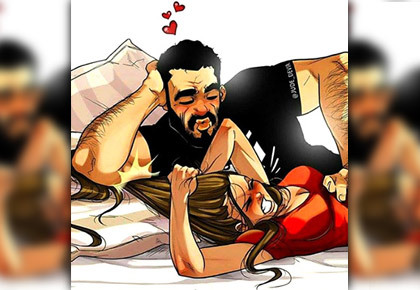 Tel Aviv-based artist Yehuda Devir has turned all the sweet and silly moments of his daily life with wife Maya into the popular web comics 'One of Those Days'. And every one of them is relatable and adorable. The Devirs met when they were in the army. They first became best friends and then found romance. And Yehuda, who wears his heart on his sleeve, has said that Maya, also an illustrator, gives him laughter and happiness 'for life' and inspires his illustrations. 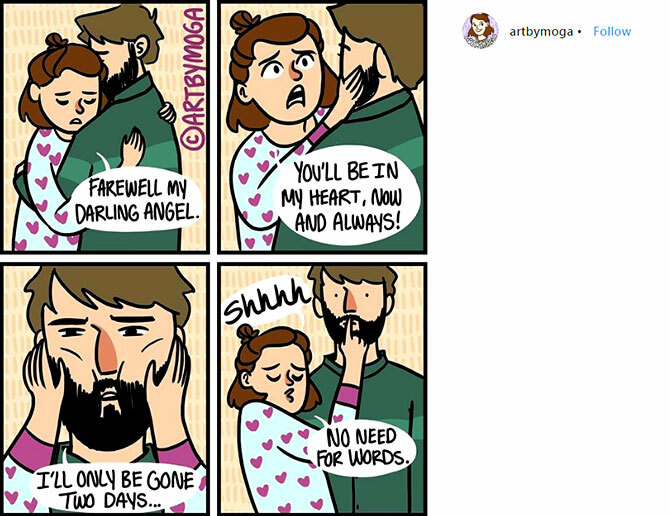 Illustrator Catana Chetwynd chronicles 'me & my bearded boyfriend doing things' in Catana Comics. Interestingly, the couple first connected on Tinder, but never met. Then something very old school happened: She spotted him at a bar and enlisted a friend's help to walk up to him and introduce herself. HJ Story is a webcomic illustrated by Andrew Hou, documenting his life with the love of his life, Kate. Kate and Andrew have been married for years and they recently had a baby. Artist Meg Quinn is not always mushy. 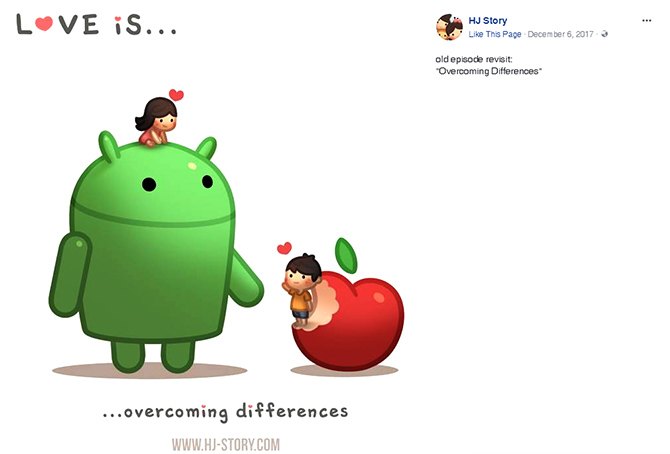 Her ArtByMoga often celebrates the differences that spice up relationships. When New York-based illustrators Pat, or Patabot, and her boyfriend Ray found themselves sketching their lives, they simply called the series the Boyfriend Girlfriend Syndrome. They are now married, but the comic journal about a girl, a boy and a dog is still going strong.